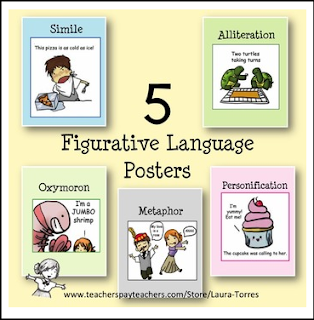 Five 8 1/2 x 11 figurative language posters with cute illustrations to make the point. Metaphor, Simile, Alliteration, Personification and Oxymoron. You might also like these figurative language activities for hands-on fun!